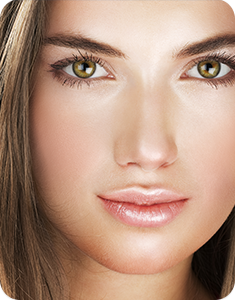 Eyelid Rejuvenation - Atlanta, GA | Joseph Woods M.D. Skin and tissue changes around one’s eyelids can frequently be the earliest signs of aging encountered in a middle age woman or man’s face. Sometimes these changes are genetically driven. Other times stress, gravity or sun damage is the culprit. A common complaint from many patients seems to be, “I just look old, but I feel great inside”, or “my coworkers comment frequently that I look tired or sad”. Dr. Woods approaches the aging upper or lower eyelid methodically and artistically. Upper Eyelids- This is usually a pretty straightforward diagnosis. There is redundant skin with possibly excess fat in the area under the eyebrow, and above the lashes of the upper lid. Trimming and contouring these tissues is meticulously performed to create a youthful upper lid crease. The incision is precisely located and hidden in the mid upper eyelid crease. We want to avoid a hollowing out of the upper orbital area. This procedure takes 1 – 1 1/2 hours and is usually performed under general anesthesia as an outpatient. You will be slightly bruised and puffy for 2-4 days. Refrain from strenuous activities for 1 week. Dr. Woods usually uses dissolvable skin stitches which do not need to be removed. You should really nice and refreshed within 2-3 weeks. That tired, sad, worn out appearance is completely resolved. Lower Eyelids – Bags under your eyes, dark circles, and excess bunching of skin, are all characteristics suggesting lower eyelids rejuvenation might be helpful. Operating on the tissues of the lower eyelid is more challenging that the upper eyelid procedure in that swelling of the tissues after the procedure tends to pull the lower eyelids downward, away from the eyeball. Careful analysis of the resiliency of your lower eyelid tissues will be performed to assure the safe performance of the operation. Dr. Woods typically utilizes two incisons; one along the inside of the lower lid to carefully trim bulging excess fat, and one externally just below the lashes to remove redundant skin. Both of these incisions usually heal extremely well, are nicely concealed, and yield beautiful results for the aging lower lids. Operating time is 1 – 1 1/2 hours using general anesthesia, on an outpatient basis. The first 24 hours after any plastic surgery procedure on the eyes is crucial in obtaining a complication-free, prompt recovery. Rest, head elevation, and crushed ice packs to the eyes are recommended to minimize bruising and swelling. Normal activity may resume in 3-4 days, while exertion is delayed for 6-8 days. Bruising and swelling typically last to some degree for 1 – 2 weeks.